"How To Train Your Dragon 2" follows on five years from when we last saw Hiccup and Toothless the dragon. The Celtic island of Berk has now become a safe haven and breeding ground for dragons and Hiccup, voiced again by Jay Baruchel, is now a young man and he is being primed to replace his father, Stoick (Gerard Butler), as the chief of Berk. However rather that concentrating on his responsibilities, Hiccup is more interested in exploring the land out with the boundaries of his village. It's on one of these journeys that he and Astrid are captured by a team of dragon-trappers, led by Eret (Game of Thrones Kit Harington), who are gathering an army of slave dragons for their master Draco Bludvist (Djimon Hounsou). Before they manage to escape Hiccup and Astrid learn about a mythical dragon rider who has been trying to stop Drago from taking over the Vikings land. The pair then manage to escape thanks to Toothless and soon enough, Hiccup meets this mythical warrior who we find out is called Valka (Kate Blanchett). Valka has been living amongst the dragons for 20 years in an ice-bound land where a massive dragon with the menacing name of the Bewilderbeast controls all the other dragons. All the characters from the first film including Snotlout (Jonah Hill), Fishlegs (Christopher Mintz-Plasse), Tuffnutt (T.J. Miller) and twin sister Ruffnut (Kristen Wiig) return to add familiarly to the sequel. Plenty of action follows as Hiccup and his pals take on the evil Bludvist. 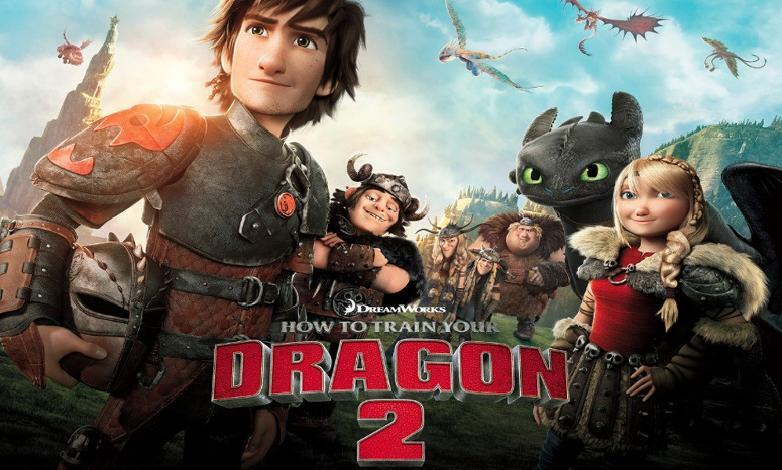 “How To Train Your Dragon 2” is good but not quite as good as the original. The first outing felt more intimate, it was a boy and his dragon verses the world, whereas this film is on a grander scale and somehow this makes it feel slightly less involving. So many characters are introduced that at times Hiccup and Toothless, who were after all the centre of the story on the last outing, feel as if they flit in and out of the story. The action scenes are certainly great and are helped by the terrific use of 3D. How to Train Your Dragon was touching and funny whereas Dragon 2 is darker and more action orientated. From the point of view of the target audience I'm sure that's a change that they won't complain about whereas their parents might find this second outing for Hiccup and Toothless a little less satisfying.